Arriving at Shankar's highly anticipated 2.0, Lyca Productions decided not to publish a special poster for her birthday. With Amitabh Bachchan, Akshay Kumar, Amy Jackson, Kajol and a few others, they also wanted the Superstar and shared Kaala's poster. 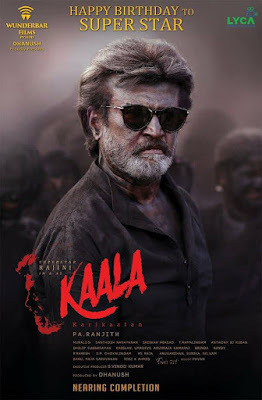 The team planned a big feast for the release of version 2.0 that day with the launch of the Theatrical trailer and other things, but they postponed them to February and March since the film is postponed to April, next year. Overall, fans are trying to celebrate in their own style, but none of the updates that give their celebrations a big boost are missing. In addition, reports suggest that the police opened a charge against them as they created nuisance near the Superstars residence in Chennai. Can this day get better?